From arranging fruit to make faces to blowing an ink spot into a whimsical monster, this list is full of apps that will spark your kids' creativity. These apps will tickle your kids' imaginations and encourage them to think outside the box. Kids learn about modern art by playing with this unique set of art tools. They can create their own artwork or follow step-by-step projects based on famous pieces of modern art during which they can add their own unique flair. 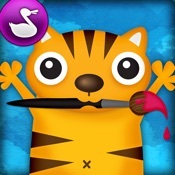 This clever art app combines art appreciation with creating artwork. 21 animals await your touching. Their responses to your touch, tap, or swipe are magical, endearing, and hilarious. Elegant app for teaching kids how to create their own stop-motion films. 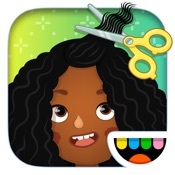 Kids can draw their own characters or use the stamps provided by the app. When kids start to draw on a flower's petal, the remaining petals also fill with paint to create a kaleidoscope effect that is magical to watch and exciting to use.